When people mention Pins, they are usually referring to this popular butterfly clutch type Pin. The butterfly clutch is very versatile and can be used for almost anything. This general versatility and high quality are the key characteristics of the butterfly clutch. For added quality PINS FACTORY recommends butterfly clutches produced by B.A. Ballou & Co. Inc.. 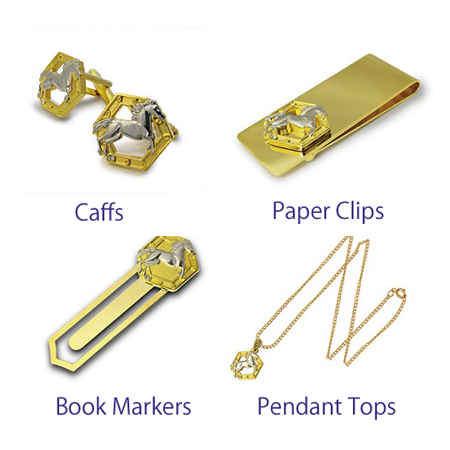 The Tie Tack, produced both domestically and overseas, and the Screw Nut type pins are most popular among Company and School Pins. We recommend domestically produced Tie Tack Pins which have a finer needle. 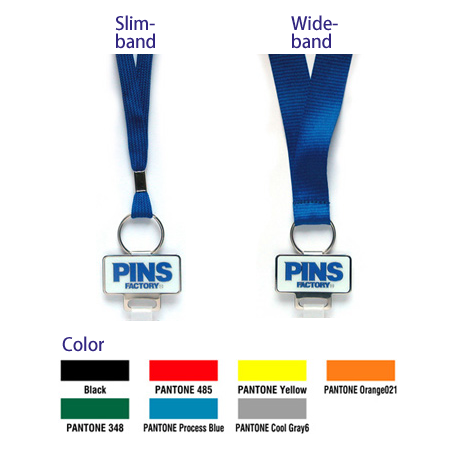 This minimizes damage to clothing if an opening is not already available for the Pin in the given piece of apparel. These Pins are often seen on men’s suits, company and school uniforms. The Hat Pin can be worn on either a suit or scarf. Ideal for formal parties or business conventions. Pass Clips, Neck Straps, and more. Full-Custom made, within four print-colors. 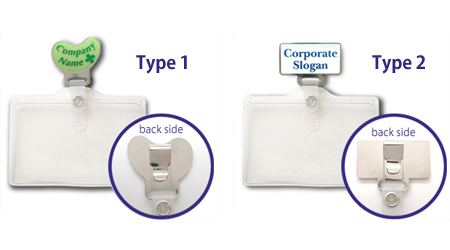 We can offer the good looks Neck Straps that have a plate you can put into your company logo for as efficient promotion tool at exhibitions or events etc. 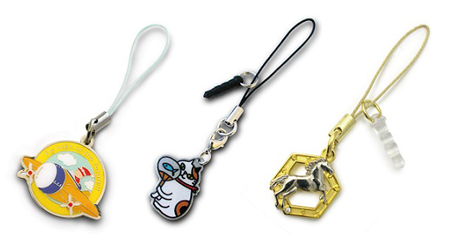 The band have three types, Slime-band, Wide-band, Lanyard and variety colors. Nowadays it is hard to spot somebody who is not sporting some sort of strap accessory. Straps, which were once bulky, are now designed with more attention to detail and style. Adult tastes can are catered for with genuine silver plating, creating a high premium. These typs of items can be put to practical use in a variety of situation for your needs and have no pin compornent that is quite safety for children. 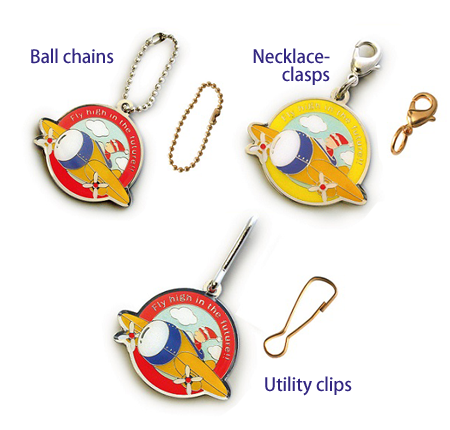 Other items brought to you by PINS FACTORY include a range of golf markers, paper clips, fridge and white board magnets, pendant tops and more.